Wow, I can’t believe I’m a third of the way through The 50 Book Project. I’ve created a lot of soft cover books with gelli prints lately, so I decided to change things up a bit this week and make a hard cover structure. 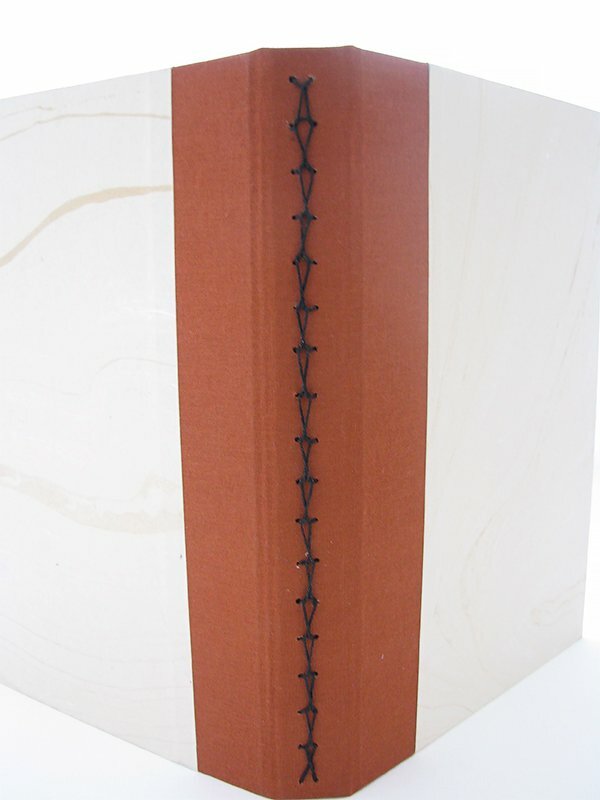 This is a 2-section binding with a Alpha stitched spine. I found it in Volume II of Keith Smith’s Non-Adhesive Binding, 1- 2- & 3-Section Sewings. The book board covers are wrapped in orange Italian book cloth with a subtle cream marbled paper. FYI – I’m on a marbled paper kick at the moment, so you might see quite a bit more of it. The signatures are made from thick, soft sheets of 90lb Stonehenge paper and they’re sewn with waxed Irish linen thread. 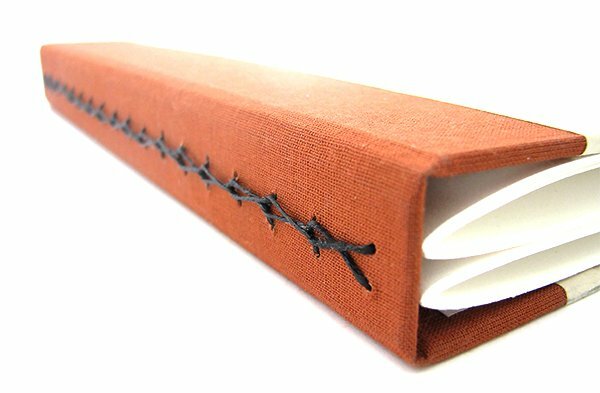 Would you like to learn how to make this binding? Should I create a tutorial for it? Let me know in the comments. And make sure you’re signed up for my weekly newsletter so you don’t miss any of the books. Yes, yes, yes please, definitely a tutorial please. Yes, yes, yes! Would Love, Love, Love a tutorial on this stitch. Oh my goodness! Your creativity always loves me breathless… And YES please do a Tutorial when you have a moment. And when, oh when will you do a day of marbling at your studio? Lol have a great week in MAINE. Yes. I would love to see this tutorial. I join the others in saying “Yes” to a tutorial. Yes, please do a tutorial. I was hoping to see your marbled paper, too. Yes I would love to have a tutorial on the binding. I so wish I could make every book I’ve seen so far! You are so talented. I would love a tutorial. Thanks for sharing. I would love for you to do a tutorial on this. Your tutorials are always easy to follow. Thank you so much. I, too, would like to have the tutorial to follow I enjoy your work immensely.You are such an inspiration. 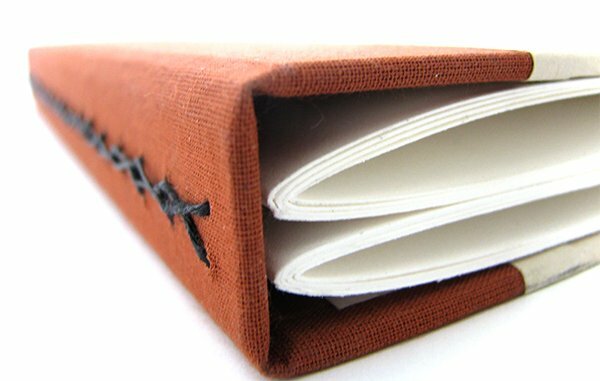 I would love to see a tutorial on this binding. You did a beautiful job. WHat a gorgeous book! Love that binding stitch! Please do a tutorial! I know they are exacting and take time, but that would be awesome.